Listening to this audiobook is a little eerie. It is narrated by Carrie Fisher and her daughter Billie Lourd. It was weird, and strangely comforting, to hear Fisher's voice after her passing. Eeriness aside I can't image the story being told any other way. This memoir offers personal stories, as Carrie Fisher recalled them, about auditioning for Star Wars, the filming of A New Hope, and the press tour the actors went on following the release of the movie. It is also sprinkled with diary entries, more akin to poetry than a true diary, and anecdotes about Fisher's brief affair with Harrison Ford during filming. 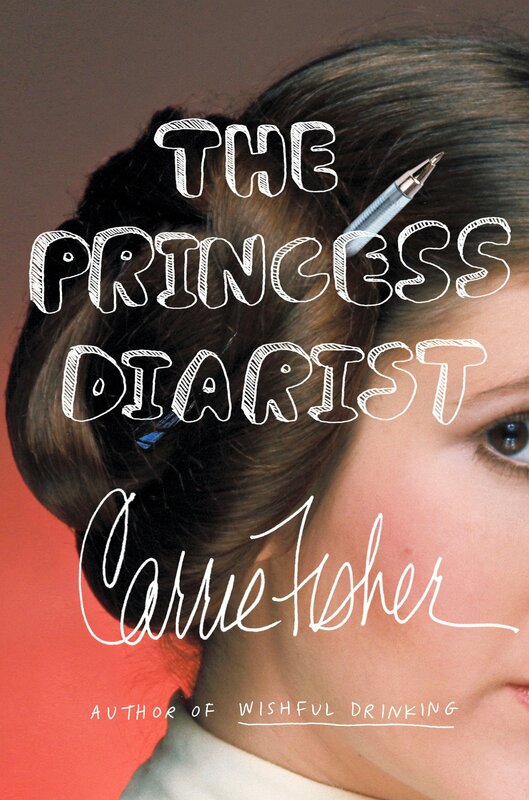 The Princess Diarist was a quick listen (5 hours) but it offered a glimpse into the Carrie Fisher's memories of filming and how playing the famous Princess Leia affected her life in both positive and negative ways. But mostly positive.